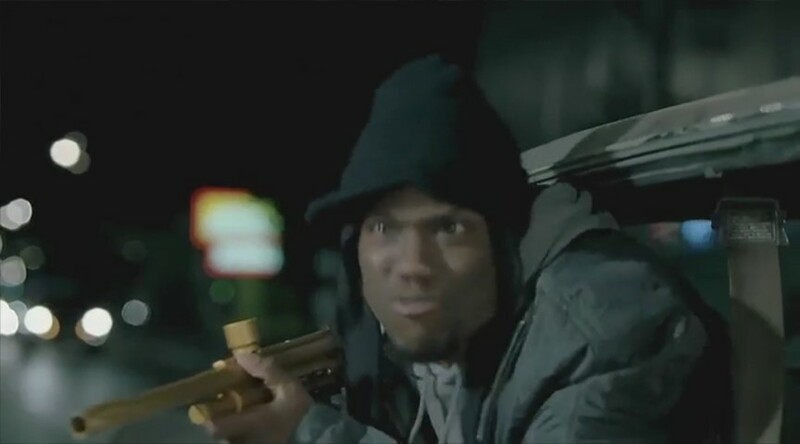 The film Scary Movie 3 (directed by David Zucker, 2003) features a scene parodying the paintball drive-by from the movie 8 Mile. two people standing in front of a grocery store. 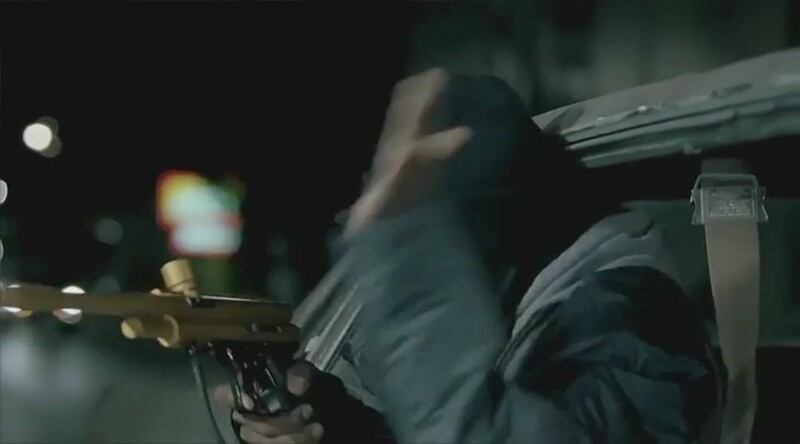 As was the case in 8 Mile, CJ's marker also doesn't have a loader. to a painters' roller with an extension handle to tag another passerby, and eventually heaves a whole can of housepaint at a parked car.